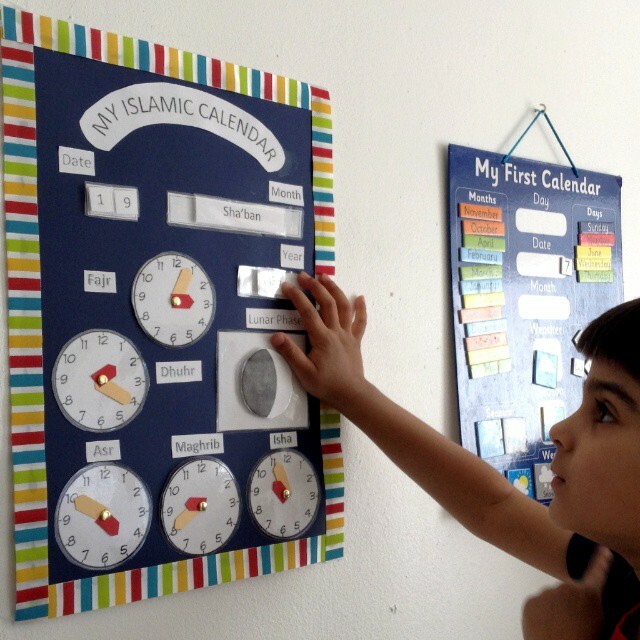 We love using an Islamic calendar in our homeschool. Teaching the Islamic months is an important part of any Muslim homeschool, and we use ours during “Calendar Time” in the morning. kids with inter-changeable Islamic months, lunar cycle and prayer times. decided to make my own and share it with you! Year (AH), the lunar phase and the 5 prayers times. this calendar and their Gregorian calendar. 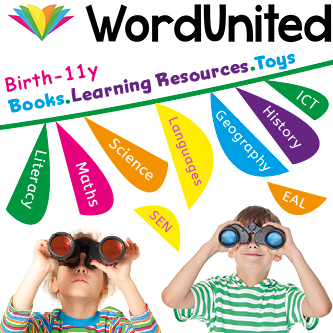 years numeracy. We use it to discuss the significance of certain months in Islam, as well as a countdown to Ramadan! #MyIslamicCalendar, or leave a link in the comments below. FREE Printable Pages. Click HERE to download. the edge of the A3 card to make a decorative border (optional). Arrange the cut-outs on the A3 card. glue’s instructions. My glue required me to leave for 24h. two Velcro dots in the ‘date’ section, and one in the other sections. and through into the card below. Thread the clock hands onto the paper fastener. The calendar in this download has straight title text. After playing around with it, I felt it looked better. However, if you would prefer ‘My Islamic Calendar’ to be curved, please leave me a comment below, and I will upload another printable insha’Allah. We keep all our extra pieces in envelopes next to the calendar; one envelope for the numbers and lunar phases (things that change frequently) and one envelope for the months and years. By keeping them in two envelopes, it makes it easier for the kids to find what they need. You could also use little baskets or attach separate pouches to the calendar itself.